In light of the destruction brought on our Caribbean brothers and sisters with the passing of Hurricanes Irma and Maria, ECGC did not hesitate to assist. 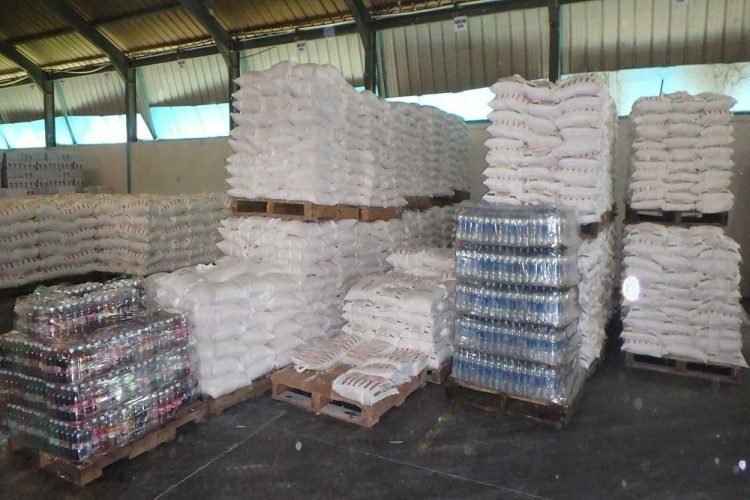 Donations of flour, rice, semolina, milk, water and Ju-C were shipped out to Dominica, Antigua and Tortola. The donations to the islands are valued over EC$110,000. CEO of ECGC Osmond Davy noted that ECGC is a company which serves the region and has been doing so for the past 40 years. He added that reaching out to our brothers and sisters is not a task, but a commitment on their part to assist. Davy also expressed sincere gratitude to the management of the Geest shipping line for allowing the company to ship the containers free of charge to Dominica and Antigua. He added that cooperative partnership is key and applauded the shipping line for its assistance to those in need. The donations were sent to the disaster preparedness offices in the various islands.